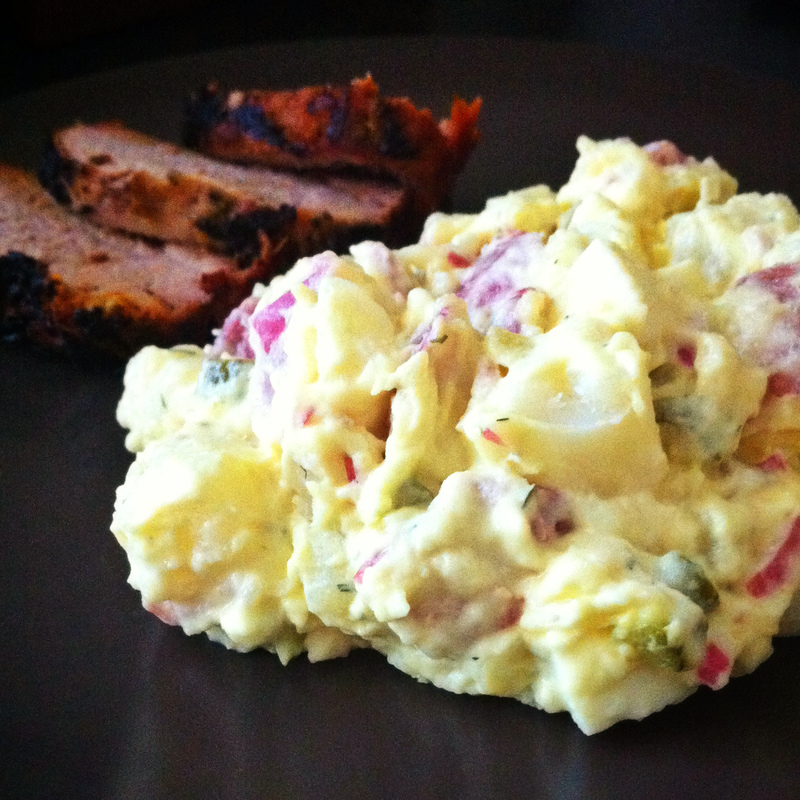 picnic potato salad | omfg. so good. I’ve been making potato salad the same way for the last 23 years, so I’m always dumbfounded when people ask me for the recipe. Silly me, I thought everyone knew how to make potato salad and that they all made it exactly the same way my mom taught me to make it when I was 15 years old. Yes, do the math. Well, apparently I’ve got another little secret to share. The coveted family recipe for classic potato salad. Wash and clean potatoes of any rough spots, but do not peel. 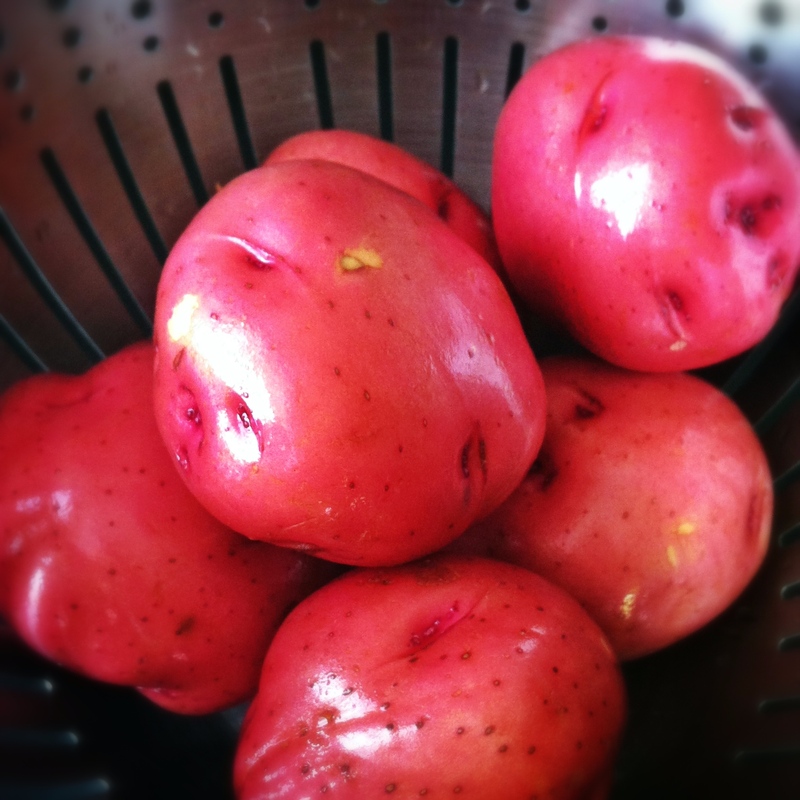 Cut the potatoes into bite size pieces and rinse with cold water. Boil in medium sized pot until fork tender, drain in a colander and rinse with cool water. Transfer to a large mixing bowl and set aside. In a small mixing bowl, add vinegar, olive oil, garlic, dill, salt & pepper and whisk to combine. Pour this mixture over the warm potatoes and toss to coat. Cover with plastic wrap and refrigerate for a few hours to marinate. 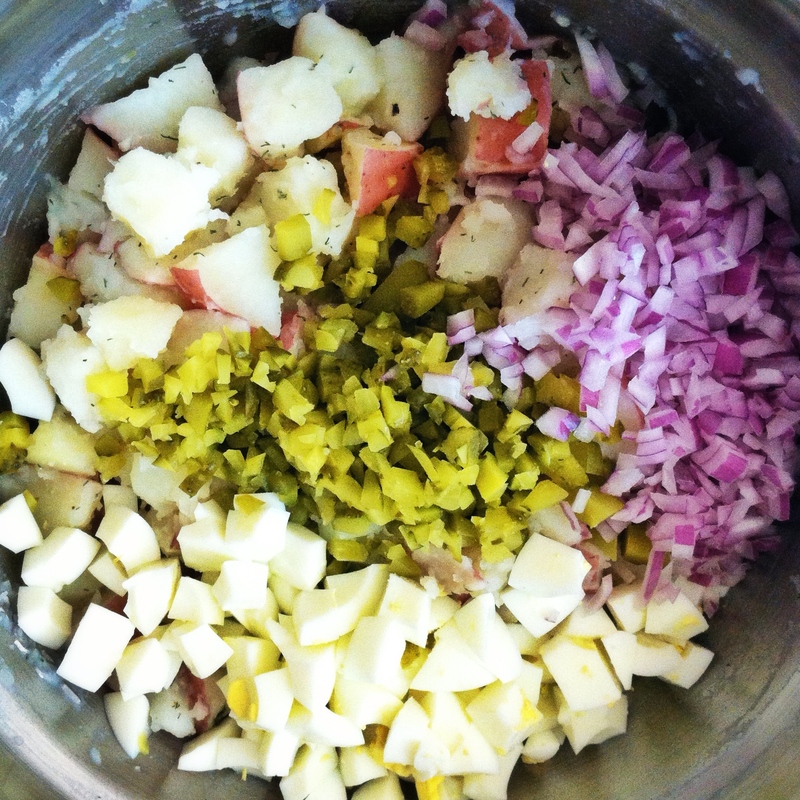 Chop/dice the celery, pickles, onion and eggs and add them to the marinated/chilled potatoes. Toss to combine. And, there ya have it. Potato salad just like mom used to make. Well, at least my mom that is. I officially have nothing left to hide.